Om Mani Tibetan Censer Incense Burner, Antique, 4.25 inches high. 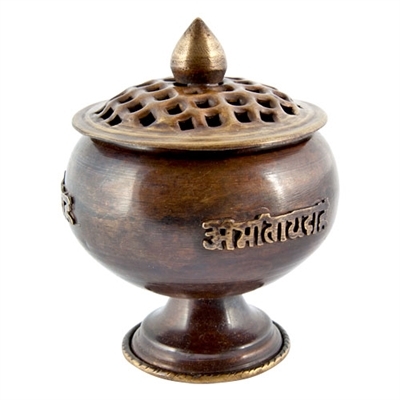 This Tibetan Censer Burner can be used for all different kinds of incense by adding some sand to it. Use as Stick or Cone Burner, Resin or Charcoal Burner, and can be used as Smudge Pot too.